Razor-edged teeth, long sharp claws, scaly skin and a huge muscular tail make ZSL London Zoo’s newest arrival an enthralling sight to behold. 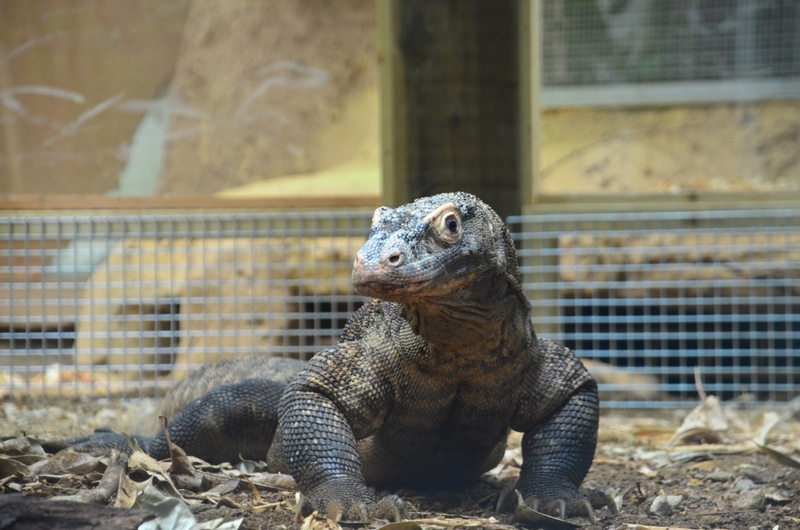 Ganas, a seven-year-old male Komodo dragon (Varanus komodoensis) has moved to the UK from Randers Zoo in Denmark to take up residence at ZSL London Zoo’s ‘Land of the Giants’ exhibit. Native to Indonesia’s Lesser Sunda Islands, and named after the island of ‘Komodo’, the dragons, which are the largest and heaviest lizards in the world, have survived on Earth for millions of years but are now classified as ‘Endangered’ due to competition with humans for their habitat. Able to eat up to 80 percent of their body weight in one feed, Komodo dragons will target a variety of animals, from pigs to huge water buffalo, and rely on camouflage to patiently wait for the perfect moment to ambush their prey. 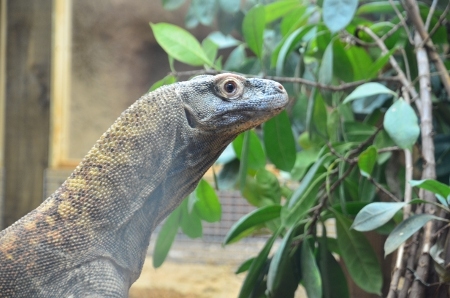 Zookeepers at ZSL London Zoo will replicate the wild eating patterns of a Komodo dragon when it comes to feeding Ganas, hiding food around his enclosure, and encouraging him to use his keen sense of smell to sniff it out. With a name meaning ‘fierce’ in Bahasa Indonesian, Ganas’ keepers are getting to know the personality of the giant monitor lizard, and they have already seen a positive response to his new training sessions. 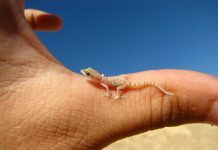 Already more than five and a half feet (1.75metres) long, and weighing 29kg, Ganas could eventually grow to ten feet long and weigh more than 136kg (300lbs). Visitors to ZSL London Zoo can see Ganas the dragon at ‘Land of the Giants’, which is also home to giant Galapagos tortoises and Professor Wu, the Chinese giant salamander.